When you turn on the shower in the morning do you ever stop to think about whether or not the water is safe to drink? When you put on the coffee does it ever occur to you that the water you’re about to drink might have been holding a fisherman’s canoe afloat yesterday? Some people such as foresters and ranchers, whose work brings them in close contact with the community’s watershed, are constantly aware of the impact that activities on a water system’s source right down to its intake can have on the water supply. They have a close working relationship with the District of Lake Country and with each other through which best practices for watershed management are discussed and acted upon. 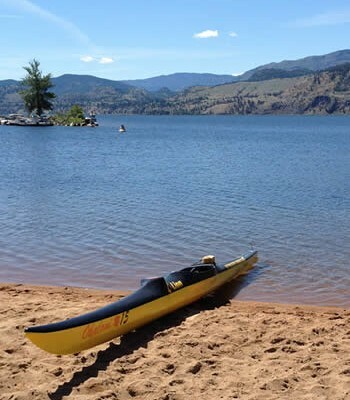 “It’s imperative to the community that we have the cleanest water,” said Mayor Baker on an annual excursion into the Oyama Lake watershed last week. The trip brought together District of Lake Country staff, council, B.C. 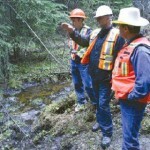 Timber Sales, Tolko and a local rancher to get a first hand look at some of the work that has been done in the past year to ensure that water is delivered as clean as possible to the Oyama Creek intake. As logging in the watershed occurs, the District asks that those who stand to benefit from the work do something to improve the functioning of the watershed. 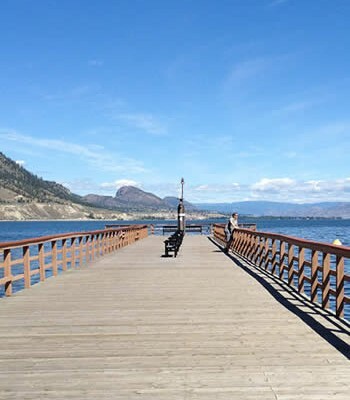 In past years the road leading to Oyama Lake has been rerouted and a culvert installed to stop water from flowing down the gravel surface of the road. When there is no debris to slow it down, water collects a significant amount of dirt particles when it streams down a road, not to mention any gas or oil that may have unintentionally dripped off of a vehicle. Ultimately that dirty water will end up back in Oyama Creek. When water becomes saturated with foreign particles it is said to have a high turbidity. High turbidity is what leads to boil water advisories and notices. A turbidity rating of between zero and one is clear in appearance and is considered fit for consumption by the Interior Health Authority. 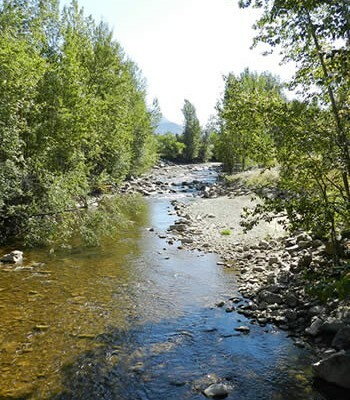 Watching for dirty tributaries is an important part of watershed management because the more of them that there are, the more difficult it will be for Oyama Creek to dilute the water that enters the intake. 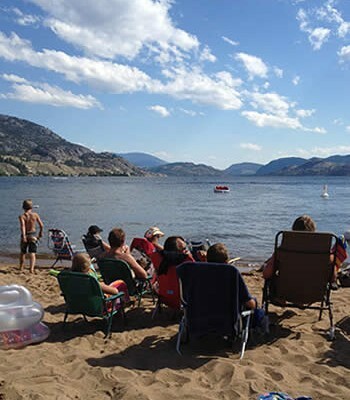 “The biggest threat to turbidity comes between Oyama Lake and the intake,” says District of Lake Country Utility Manager Jack Allingham. One goal of the people who safeguard watersheds is to bring more public awareness to the importance of keeping those areas clean. 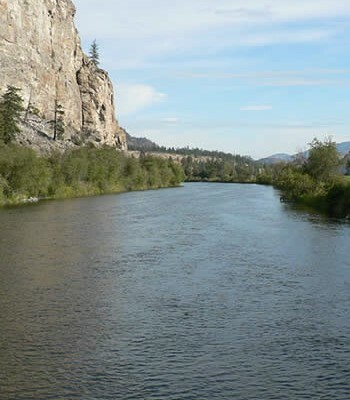 There are some places on the drive up to Oyama Lake where the road runs right alongside tributaries that feed into the creek that delivers water to the Oyama intake. 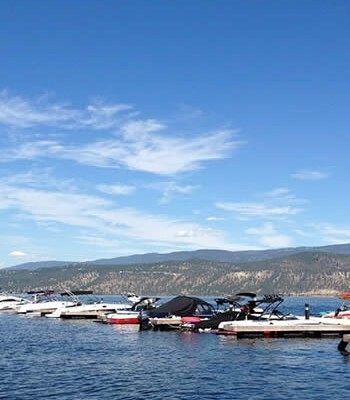 Drivers on the road need to use the utmost caution because an accident in such a location could potentially spill litres of diesel or gasoline into the water. Even something as simple as a tire going off the road can open a new channel for water to flow out of the ditch and onto the road. 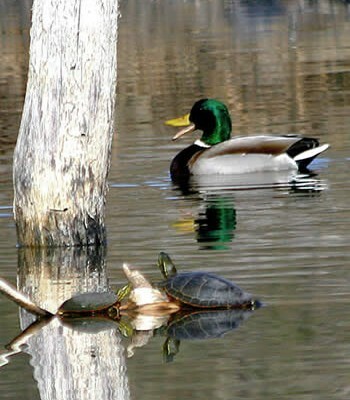 For residents who use the watershed for recreational purposes such as camping and riding ATV’s there are a number of telltale signs that can be used to identify when they are in a watershed. Most noticeably, the District of Lake Country has installed large signs along forest service roads stating that the road is entering a District watershed. Another distinguishing feature of a watershed are hay bales and silt screens in tributaries and ditches. Low turbidity in tributaries is of particular importance according to Allingham because that is where the most sediment is picked up. In wooded areas there is natural woody debris that falls into the creek that will help to slow down and filter the water as it runs down the hill. Hay bales are one way to achieve the same effect. Cattle in a watershed are another factor that needs to be considered in watershed management. Ideally it would be best to fence off the watershed to keep cattle out however such a practice would be cost prohibitive due to not only the original construction cost but also because of the maintenance cost. Foresters have come up with some creative options however to achieve the same effect as a fence at a fraction of the cost. In one area near Oyama Lake where some logging was done the scraps that are normally burned were piled into a makeshift barrier about shoulder height. Ranchers, forest workers and District staff agree that cows would have an extremely difficult time getting through the barrier. Ranchers pitch in too, doing their part to keep their herds away from riparian areas. Areas of forest that have been cut down by logging companies make suitable grazing lands for cattle. The rancher is able to lead his animals to these areas by seeding them with grasses for the cattle. This method of leading cattle away from creeks critical to the watershed can be further enhanced if the rancher is able to provide water to the animals by way of a watering hole. Forest workers often get an undeserved reputation as people looking to turn a quick profit by taking what they want from the wilderness and then running away from it. The reality is that after a harvesting logs from an area, foresters are responsible for overseeing silviculture in the area for 20 years down the road as well as maintaining forestry roads and campsites. 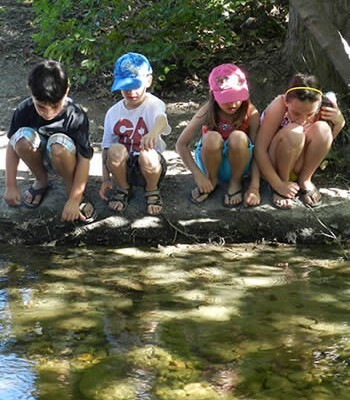 As camping opportunities in communities like Lake Country become more and more scarce they will also need to find new ways to help promote responsible use of the forests especially in areas that contain watersheds that deliver fresh, clean water to homes. Jack Allingham, Utility Manager for the District of Lake Country (centre) discusses the importance of keeping turbidity low in waterways bound for municipal water intakes as they flow through lands shared with forest workers, ranchers and recreational users.